Back in the fall of 1989, fifteen year old me got drunk for the first time. Not just drunk, wasted. Hammered. Totall–effing–blottoed. This wasn't the first time I’d drunk beer, but it was the first time I saw what I had drunk, come back up the way it went down. My parents, and their neighbor friends went to New York City for the weekend. Their sons, Andy and Craig (ooh this is going to get confusing) and I were left to our own devices. By devises I mean Craig, a senior, was off to a wicked cool senior party and Andy—the freshman—and I—a sophomore—did not. The elder brother however, did not leave us hanging. He produced twelve pristine cans of Meister Brau, for the low, low price of twenty American dollars—a bargain at any price. Okay, maybe not that price. Needless to say, after that the rest of the evening was bit of a blur. In any case, my hangover would eventually subside, I would graduate high school, go to college, drink much, much more beer, and begin my life—as did Craig. My folks still kept in contact with his, but he and I lost touch. That is until like everyone else—everywhere—we bumped into each other on Facebook. What had Craig been up to over the last twenty plus years? First a law degree, then a move to Seattle, Washington and—oh yeah—he just opened a nano brewery in August. 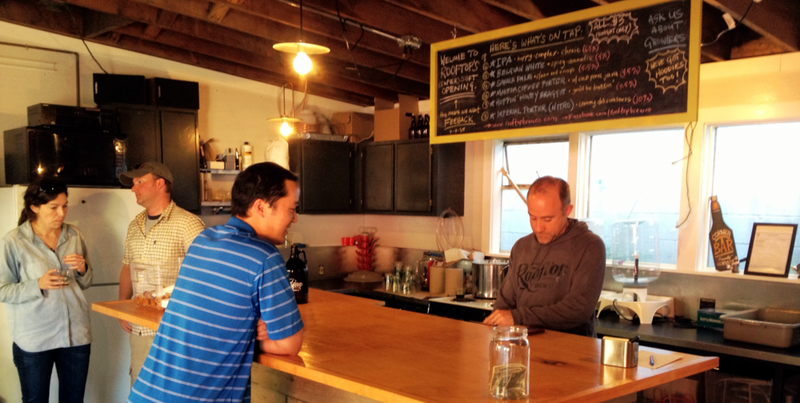 The guy who got me drunk, for the very first time—24 years ago—now owns a brewery. The more things change the more they stay the same, I suppose. A few messages on Facebook answered all my questions.  Craig wrote the whole thing started with his home brewed recipe for coffee porter. Befriending a coffee shop owner (there might be one or two of those in Seattle) Sean, he made a porter that used the shop's cold-pressed brew and it was a success. So successful in fact, that Sean kept asking him to make the porter—and even wanted to sell it himself. Even after Sean sold the business, the new owner, Prash, began asking Craig to make it for her to sell. So that's when the brewery opened, right? Nope. 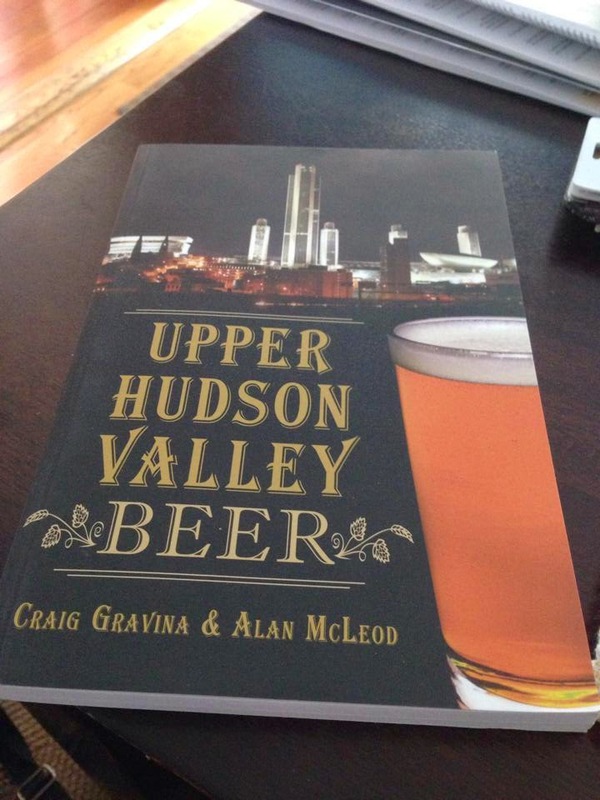 It took Craig years to embrace the idea of opening a brewery. That is until last summer, when he and his wife Jess agreed that it was time for him to leave the big-firm attorney biz for the beer biz. 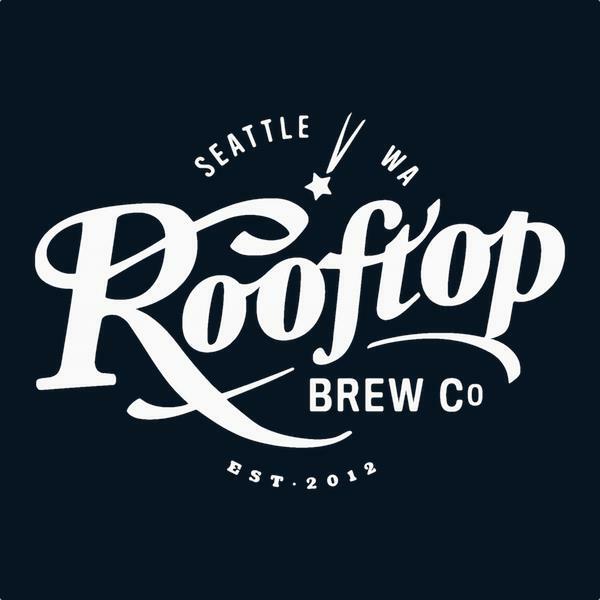 After leaving his position at his law firm for a solo-law practice, and then partnering with Jess, his buddy Parker, Parker's wife Angela (a beer marketer—so, that helps), and another buddy, Tyson, they opened a single BBL nano brewery and named it Rooftop Brewing Co.
Craig says there's a zen philosophy behind the name Rooftop, too. He wrote, "A few years ago, I decided to tear the roof off of my Tudor A-frame house in order to take advantage of a killer view that could not be seen anywhere else in the house. None of my friends thought I would actually do it, but I did...None of them thought I would quit a big-firm attorney position to open a brewery. But I did." He knows that they'll succeed, simply if they put their minds to it. So what about the beer? Anything is up for grabs—all styles and techniques—as long as it's done thoughtfully. This week alone they have six beers available at there tasting room on Dravus Street—an IPA, a Wit, their signature Makeda Coffee Porter, a Rainier Cherry Kriek, a gluten-free Apple Brew and "Willing and Abel"— a rye beer made with Tazmanian Pepperberries and Australian and New Zealand hops. Speaking of their tasting room, Craig says their customers are neighborhood folks—a steady group of regulars—and beer geeks, coming from across the city seeking out new brews. On any given night he says, it's a combination of both. A good start indeed, and he's convinced me. 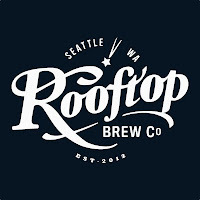 If you're in Seattle any time in the near future, stop by Rooftop. The tasting room is at 6 Dravus Street, and it's open Thursdays from 5 to 9pm, and Fridays from 5 to 10pm. Check out what they've got for you to try at rooftopbrewco.com, and on Facebook, too. Oh, if you do stop by, let Craig know that he still owes me the change from that twenty he used to buy the twelve pack. 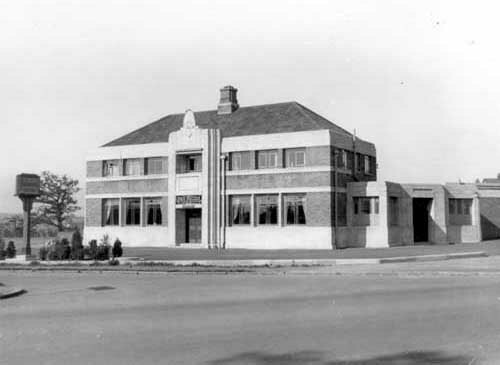 Albany Ale: Was it Last Tuesday, or 1901?